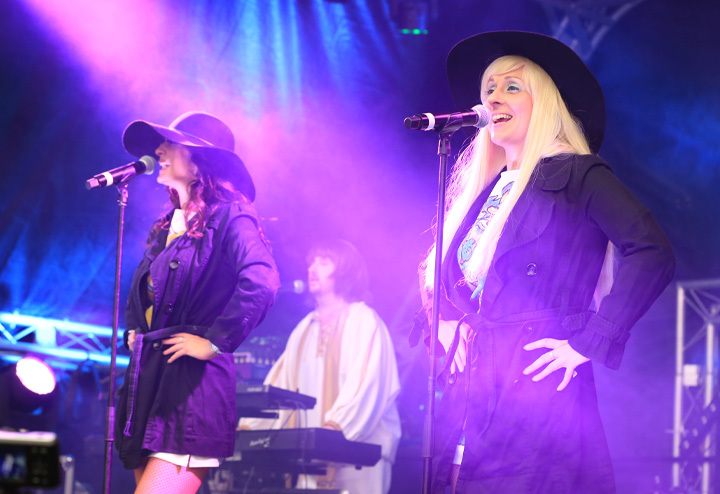 Book Sensation ABBA Tribute Band and you’ll immerse yourself in the authentic ABBA experience! Sensation will transport you back to the golden days of ABBA, with stunning harmonies, costumes, choreography and a sprinkling of light-hearted humour. If you’re looking for an ABBA Tribute band, then look no further. From Waterloo to Dancing Queen, they’re all included. Contact Sensation now for a personalised quote for your event. Extensive bookings for festivals, theatre shows, corporate events, weddings, private parties and special occasions have shown time and again that Sensation are truly perfect for any event – a premium ABBA Tribute experience like no other. With plenty of opportunities for audience participation and sing-along moments, it’s an exciting, jaw-dropping show that will leave the audience screaming for more!